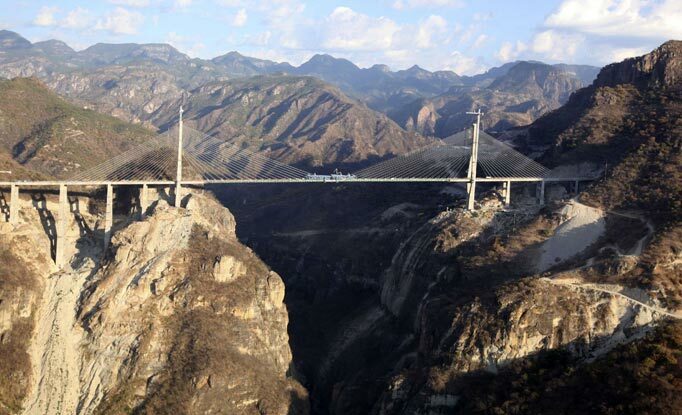 This is Mexico’s massive Baluarte Suspension Bridge which has just been crowned the highest in the world by the Guinness Book of Records. The 1000m-long crossing, which has just opened to the public, is more than 400m high and could fit Paris’ Eiffel Tower under its central span. 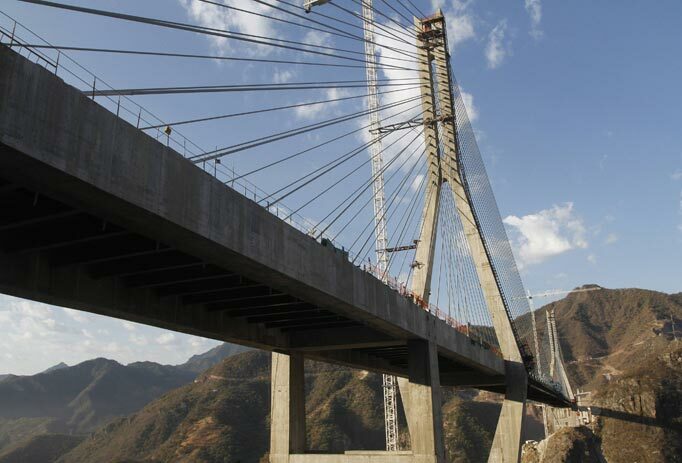 The cable-stayed bridge – which goes across a deep ravine in Mexico’s Sierra Madre Occidental mountains – took four years to build and cost millions of pounds. It was built as part of the country’s bicentennial celebrations to mark its independence from Spain in 1810. It forms a huge highway between Mazatlan on the Pacific Coast to Durango in the interior. Mexican President Felipe Calderon said: "It is a project which is going to unite the people from the north of Mexico like never before."